As multinationals arrive on Irish shores, industry experts tell Lynne Nolan how Ireland is forging ahead in tackling the skills demand and creating a smart economy. In 2010 IDA Ireland embarked upon its Horizon 2020 strategy, setting up a new Emerging Businesses division focused on early stage emerging companies. Within three years, the division has established an international team across the US and Europe, attracting more than 60 companies that have moved or are in the process of moving to Ireland. Barry O’Dowd, Head of Emerging Business, IDA, says the firms that have decided to launch operations in Dublin including marketing automation software provider Marketo, Platform as a Service (PaaS) company Engine Yard and cloud-based customer support software firm Zendesk are expected to grow quite significantly. Riot Games, the Californian games developer behind the popular League of Legends video game, web publishing company Squarespace, the ecommerce site for handmade, vintage items and art and craft supplies Etsy, and Serbian game developer Nordeus have also all chosen Dublin as the location for their European or EMEA headquarters. Ireland has developed a strong multilingual capability, with more than 110,000 native Polish speakers, almost 10,000 native German speakers and more than 1,200 native Swedish speakers, who also speak English, proving a major draw for Indeed.com, Google, Facebook, LinkedIn and PayPal. “At PayPal’s new project in Dundalk, some of the first recruits are Russian-speaking and the company has found they can find that language skill locally,” he comments. Frankfurt-based gaming localisation and testing provider CULTURETRANSLATE is among the companies to locate a multilingual operation in Dublin, enticed by the city’s skills ecosystem, with plans to expand. “They would have found it a big challenge to recruit that multilingual skills base over in Germany, whereas they have witnessed great success here,” O’Dowd comments. Squarespace currently has 20 people in Dublin after their first three months and is expected to have up to 35 people by the end of this year, with O’Dowd predicting it will have 100 employees within two years. According to O’Dowd, colleges and universities have adapted well to market needs, developing programmes in analytics, business intelligence, robotics, cloud and other fast growth areas. For example, Ireland has staked out a leading position in Europe in Inbound Marketing, with leading names including Hubspot, Zendesk, Indeed, Facebook and LinkedIn using the skills in their Irish operations. Paul Sweetman, director of ICT Ireland and the ISA, Ibec, concedes that Ireland is head and shoulders above other tech jurisdictions around the world in addressing what he identifies as a skills demand, rather than a skills deficit, issue. I firmly believe that investment in education, innovation and a ‘Grow our Own’ culture will be key to opening up new and emerging opportunities for Ireland as one of the world’s innovation hotbeds. The ICT Action Plan, offering initiatives including the introduction of bonus points for higher level Maths and addressing the need for conversion courses and for industry and Third Level academia to work together, “sent a strong message to investors that Ireland was very serious about addressing the skills demand issue by launching a plan specific to the technology sector,” Sweetman believes. Smart Futures, a national campaign promoting careers in science, technology, engineering and maths (STEM), to second-level students, was another successful example of collaboration between industry and Government. According to Sweetman, the Action Plan for Jobs crucially states that Ireland is set to become the most attractive location in the world for ICT skills availability. “We now have more than 100,000 people employed in the sector in Ireland, with 75% employed in foreign-owned companies and 25% employed in the indigenous sector. That represents about 6% of national employment,” he says. Successful conversion programmes with industry involvement have included the MA in Applied Software Technology developed by Ericsson and ICT Ireland Skillnet. “On successful completion of the programme, every successful graduate was offered a full-time, permanent job. It’s been running for two years and there have already been 150 people through that programme,” he reveals. Other initiatives have included a Cloud Careers programme, focused on more entry level positions, developed with companies including Dell, VMWare and EMC, with 90% of people who have completed the programme now working at top companies in Ireland,” he enthuses. Open Ireland recently led a strong campaign for visa reform, making it easier for companies to bring in talent from abroad, while Springboard, Momentum and JobBridge are among the programmes bringing unemployed people into the tech sector. 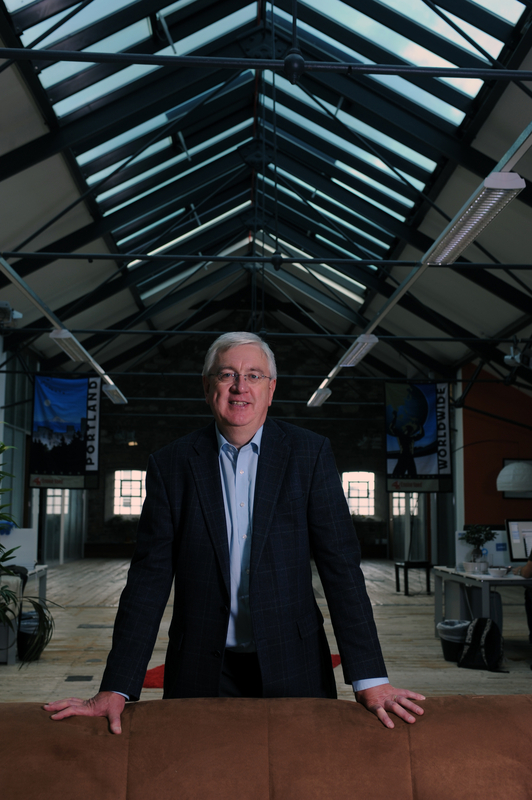 Martin Murphy, Managing Director for HP Ireland, believes Ireland must take urgent action to re-skill and re-train people on the Live Register. HP recently piloted an initiative to re-skill JobBridge interns by providing them with training in software programming, development and testing, with the programme resulting in 90% of interns progressing into employment. With 50% of all FDI jobs requiring STEM skills, the challenge is to ensure school leavers are seriously considering engaging in degrees in these subjects, he says. Published in the latest issue of Silicon Valley Global.